Normal mode is normal Blackjack, it's you versus dealer and this is completely working offline. 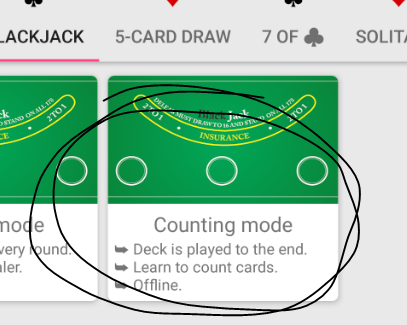 Counting mode learns you to count cards which is not legal in real casinos so be careful. Here settings do not have anything too interesting. Just tutorial window toggle if you want in game tutorial to be visible.